Sullivan enlisted in February 1896, and was promoted Corporal in October of the following year. He joined the 1st Battalion in India in 1899 and at once proved himself an acquisition to the Battalion, being awarded a First Class Certificate for Gymnastics and Swordsmanship in 1900. In 1906, Sergeant Sullivan, as he then was, began a long series of successes as a Man-at-Arms. For two years running (1906 and 1907) he won the prize for the best Man-at-Arms of the Rawalpindi District, while in the following year he gained a like distinction in the Meerut District. At home, on two occasions, he was a member of the Battalion bayonet team which represented the Eastern Command at Olympia in 1911 and the Aldershot Command in 1919. In the former year he also represented the Command in Sword v Sword at Olympia, and in 1919 again appeared at Olympia, where he represented the Command in bayonet, sword and foil. 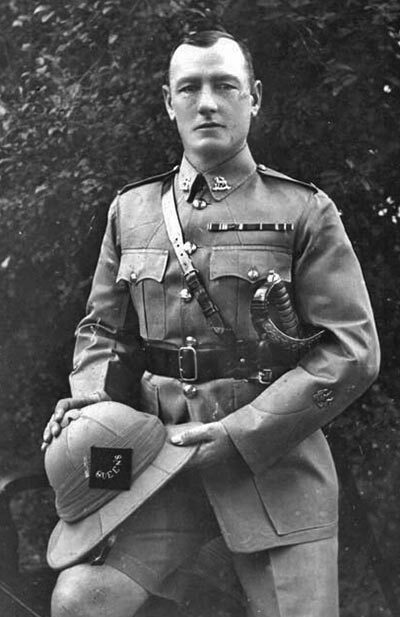 He was promoted Sergeant in 1902, Colour-Sergeant in 1910, and on promotion to Regimental Sergeant Major in August 1914, he was posted to the 3rd Battalion. During the First World War, after a period in Italy with the 11th Queen's he returned to France in 1918 and shared the misfortune of many others by being taken prisoner in the German offensive of March. On the conclusion of the First World War, the 2nd Battalion went to India and was indeed fortunate in having him as Regimental Sergeant Major. His standing in the Regiment and his knowledge of pre-war regimental procedure and standards were invaluable at a time when few serving had pre-war experience. It was not long before the Battalion went on active service in Waziristan, and its marked success there was, in the main, due to the knowledge of the Commanding Officer, Colonel E B Mathew-Lannowe and RSM Sullivan, who alone in the Battalion had seen previous service on the frontier. Years of achievement for the Battalion followed while stationed in Lucknow and Allahabad, and many will still remember and appreciate the part played by RSM Sullivan in the gaining by the Battalion of a reputation which went far towards equalling that achieved in India by the 1st Battalion at the beginning of the century. A disciplinarian of the finest type, who for many years expected the best from all, he will always be remembered affectionately at "Choky Bill" by those who knew him, as there was invariably that twinkle in his-eye. Loyalty is a thing which was expected and always got in The Queen's Royal Regiment, but even so, Sullivan' s thirty years of outstanding service to the Regiment, of which twelve years had been in the rank of Regimental Sergeant Major, must constitute almost a record; and the Meritorious Service Medal for devotion to duty which was awarded him in 1921, can never have been more deservedly won. 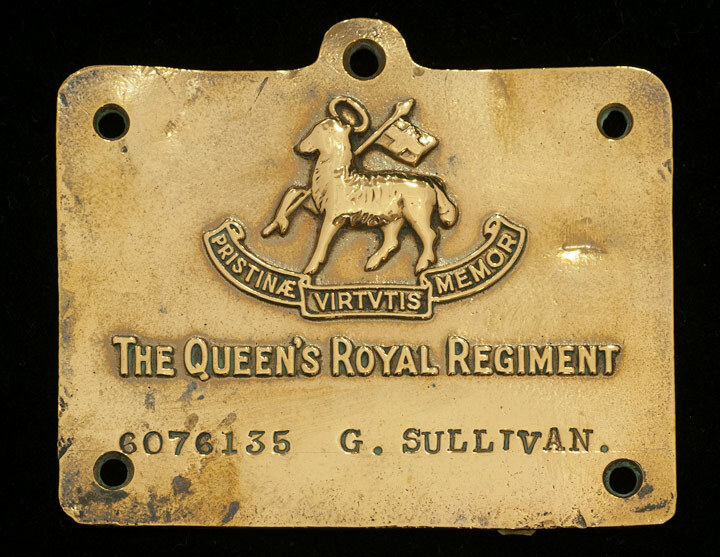 RSM Sullivan left the Regiment in 1926, having given The Queen's a service of distinction and devotion that few can have equalled in its history, and which will be long remembered. RSM Sullivan died aged 75 on 27th February 1952.